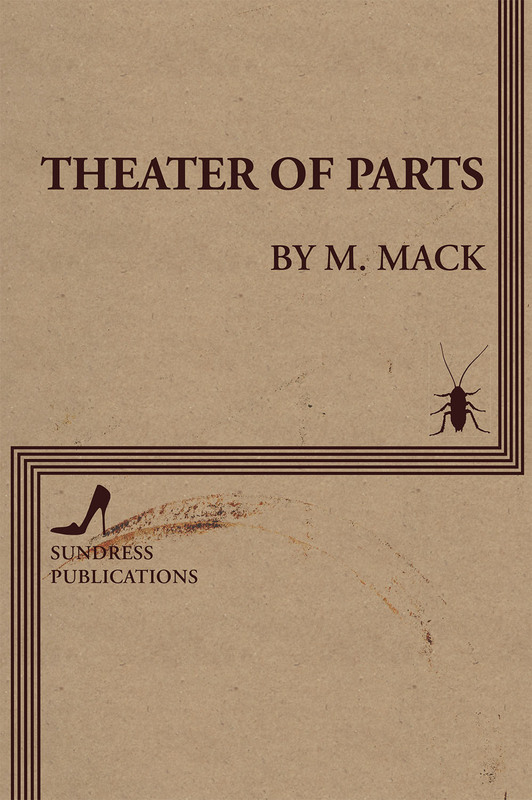 Theater of Parts is the debut full-length collection from M. Mack, now available from Sundress Publications. Order a signed copy from Mack here. Cover design by T.A. Noonan. Theater of Parts investigates dramatic forms through impossible theater, a term coined by Caridad Svich in her collection of Federico García Lorca’s drama, and the impossible body. Mack’s project is clearly influenced by Lorca, Jack Spicer, and Gertrude Stein. The manuscript is obsessed with transmogrification through a cast of characters including Milquetoast the crossdressing transfeminine cockroach, The Actor whose body is ether, and the controlling force of The Poet whose transmasculine body stubbornly is. The project engages with the other, in the vein of queer and feminist theory, existing in and pushing against the confines of academic space.